2019 BMW 3-Series was revealed officially at the Paris Motor Show. The car is now in its seventh generation, keeping the driver friendly attitude alive from the first day of its arrival. The new car is longer and sharper than ever, using completely new headlight design with more prominent grille and minimal bumper inserts. The headlights have lost the dual ring-type structure in favor of the new laser lights with around half a kilometer of visibility. Internationally, the car will be available with a 4-cylinder petrol, a 4-cylinder diesel, and even a 6-cylinder diesel engine option with massive torque figure. The least powerful option is expected to produce around 150HP while more cylinders will mean 265HP of max power on the sedan. The under-body is almost completely sealed, improving the overall stability of the car by getting an aerodynamic favor. The car seen here rides on 19-inch lightweight wheels for more action. The base variant will be available with an 8.8-inch touchscreen infotainment system and six speakers while options include Harman Kardon system with 16 speakers. The interior is clean, refined and premium in comparison to the older version. The rear offers darkened lights with impressive glowing pattern and redesigned boot area with head-turning design lines. 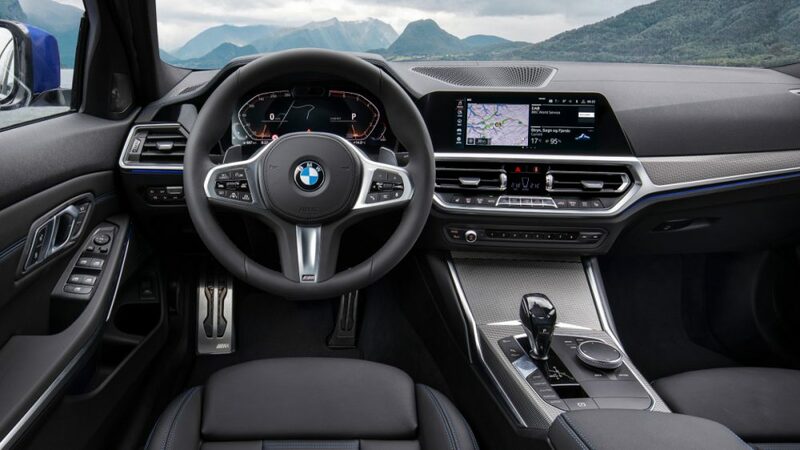 BMW 3-Series comes with pedestrian and collision warning system with automatic emergency braking, active cruise control, lane change warning system and complete driver assistance package on the top-spec model. 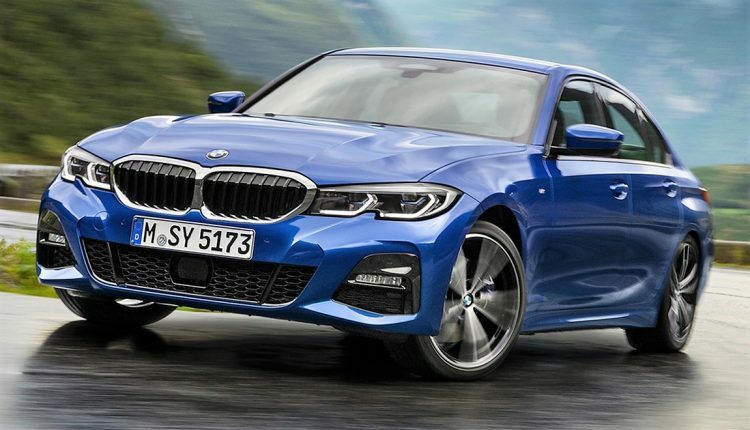 BMW is expected to launch the M Performance variant and a plug-in hybrid model for 3-Series at a later stage while the design and feature loaded upgrade may arrive in India next year. The car rivals Audi A4, Mercedes C-Class and Jaguar SE in its segment. Indian market may not get the 6-cylinder diesel engine as rivals don’t offer such high output motors in a car of this size.